The Loon Round Clock features an image by John Wilson. Easy-to-read numerals and decorative hands complement face image. 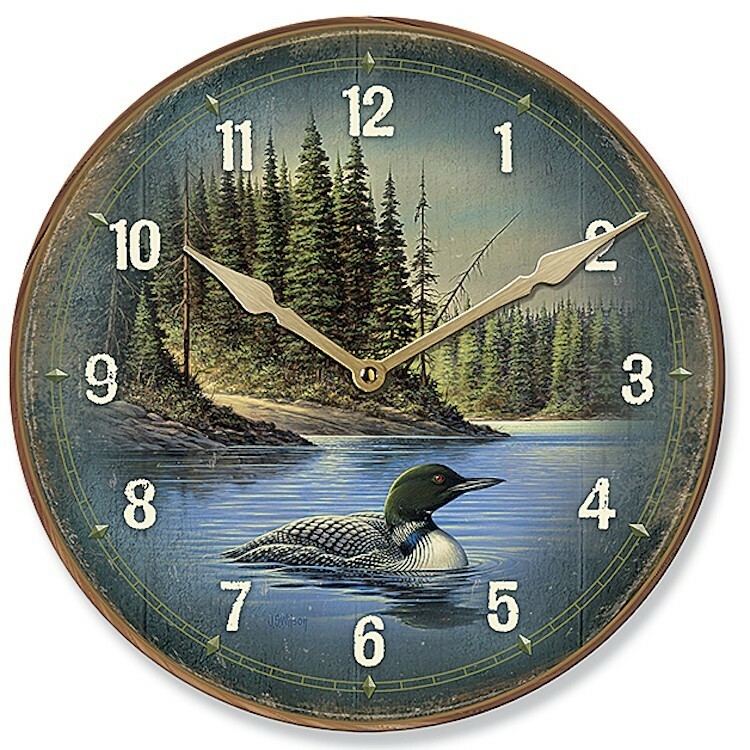 The Loon Round Clock features an image by John Wilson. Easy-to-read numerals and decorative hands complement face image. Precision quartz movement. Requires 1 AA battery (not included).